In the 3rd round of the ZonMw programme Enabling Technologies Hotels, 28 Hotel projects have been granted. A total amount of EUR 780.000 was awarded. 9 projects that get access to Genomics hotels, 5 to metabolomics, 3 to bioimaging & phenotyping, 2 to proteomics & structural biology, and 9 to bioinformatics and computational biology. Summaries of the 28 granted projects can be found in the brochure. Adequate data stewardship is one of the goals of the Enabling Technologies Hotels programme. Therefore, applicants were asked to submit a data management plan as part of the grant application. This plan was also assessed. A data management plan helps researchers to properly prepare their research project. In addition, it ensures that the obtained data will meet the ‘FAIR-data principles’ (Findable, Accessible, Interoperable, Re-usable). ZonMw used the online platform ‘DMPonline’ to enable researchers to collaborate online to create their data management plans. 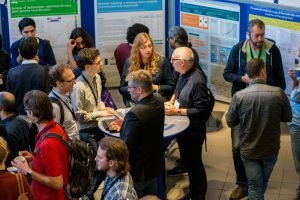 The programme Enabling Technologies Hotels provides wider access for Dutch researchers to high-end technologies and the connected expertise and infrastructure. This a called the ‘Hotel concept’. Researchers (‘guests’) that have no access to high end technological facilities, can apply for funding for access to a service-oriented research facility (i.e., a ‘hotel’). Researchers can request access to all ‘Technology Hotels’ of DTL. The main goal of the Enabling Technologies Hotels programme is to introduce public private partnerships (PPP) to high-end technology facilities. 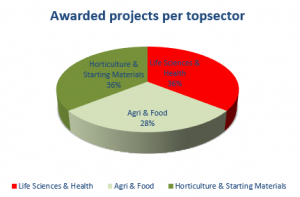 The Enabling Technologies Hotels programme is financed by ZonMw and NWO-ALW (Earth and Life Sciences) with support of the top sectors LSH, Agri&Food and Horticulture and Starting Materials.